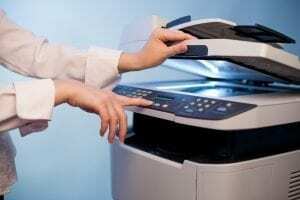 Leveraging the power of a new streamlined printing path and Xerox ConnectKey Apps, the Xerox VersaLink B7000 series multifunction printers offer unparalleled performance at an unbeatable value. 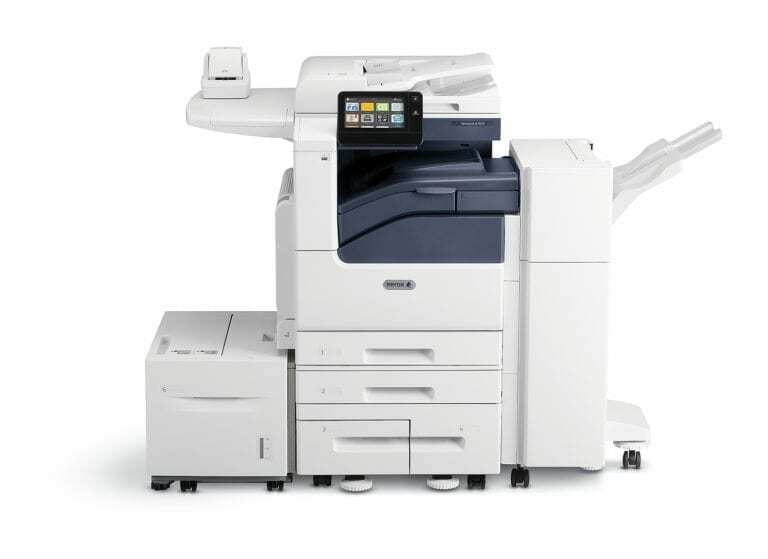 Capable of printing at speeds up to 35 PPM and with a duty cycle up to 153,000 images per month, the VersaLink B7000 series will provide consistent, reliable production with exceptional speed. The VersaLink B7000 series is ready out of the box to integrate with your most used mobile devices. With seamless support for Android, Apple, and Google phones, you’ll be sure your team can print at anytime, from anywhere. You’ll rest easy knowing your documents, data, and networked assets will remain secure with industry leading security features built-in. The VeraLink B7000 doesn’t require an expert to use. With a crystal clear 7” integrated touch screen interface you can quickly and easily process even the most complex projects. 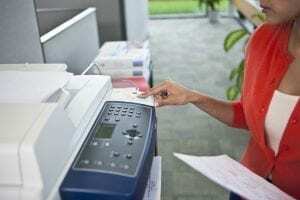 Further boost efficiency through Xerox ConnectKey, which allows you to tailor your interface to suit your unique needs. Cloud storage integration (Google Drive / Dropbox / OneDrive). Mobile print ready (Apple AirPrint / Google Cloud Print / Xerox Print Service for Android / Mopria / Tap-to-pair / Near Field Communication). 7” color touchscreen interface, customizable UI through Xerox ConnectKey. Duty cycle up to 153,000 images per month (VersaLink B7035). Security features include Secure Print/Fax/Email, network authentication, IPsec/TSL/SSL/HTTPS/SNMPv3, encrypted HDD (FIPS 140-2, AES 256-bit), image overwrite, IPPS/HTTPS job level encryption.